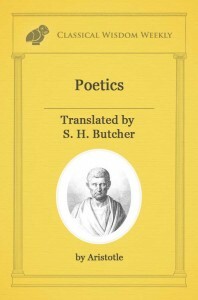 In Poetics by Aristotle, we see the author dissect the various elements of poetry, from why we like it to what a tragedy needs to be any good. Thus in the music of the flute and of the lyre, ‘harmony’ and rhythm alone are employed; also in other arts, such as that of the shepherd’s pipe, which are essentially similar to these. In dancing, rhythm alone is used without ‘harmony’; for even dancing imitates character, emotion, and action, by rhythmical movement. There is another art which imitates by means of language alone, and that either in prose or verse- which verse, again, may either combine different meters or consist of but one kind- but this has hitherto been without a name. For there is no common term we could apply to the mimes of Sophron and Xenarchus and the Socratic dialogues on the one hand; and, on the other, to poetic imitations in iambic, elegiac, or any similar meter. 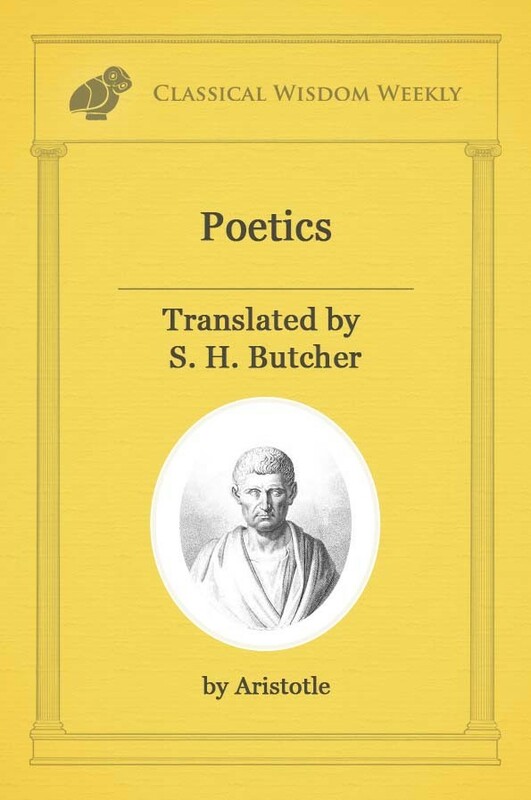 People do, indeed, add the word ‘maker’ or ‘poet’ to the name of the meter, and speak of elegiac poets, or epic (that is, hexameter) poets, as if it were not the imitation that makes the poet, but the verse that entitles them all to the name. Even when a treatise on medicine or natural science is brought out in verse, the name of poet is by custom given to the author; and yet Homer and Empedocles have nothing in common but the meter, so that it would be right to call the one poet, the other physicist rather than poet. On the same principle, even if a writer in his poetic imitation were to combine all meters, as Chaeremon did in his Centaur, which is a medley composed of meters of all kinds, we should bring him too under the general term poet. Now it is evident that each of the modes of imitation above mentioned will exhibit these differences, and become a distinct kind in imitating objects that are thus distinct. Such diversities may be found even in dancing, flute-playing, and lyre-playing. So again in language, whether prose or verse unaccompanied by music. 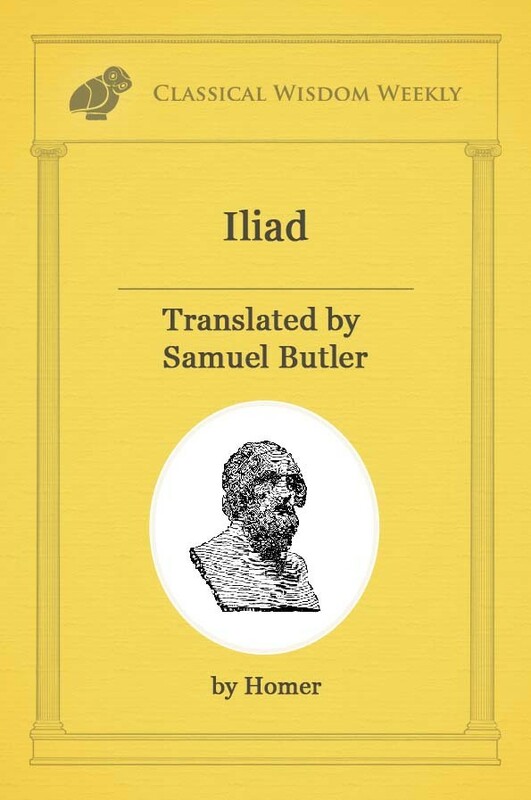 Homer, for example, makes men better than they are; Cleophon as they are; Hegemon the Thasian, the inventor of parodies, and Nicochares, the author of the Deiliad, worse than they are. The same thing holds good of Dithyrambs and Nomes; here too one may portray differenttypes, as Timotheus and Philoxenus differed in representing their Cyclopes. The same distinction marks off Tragedy from Comedy; for Comedy aims atrepresenting men as worse, Tragedy as better than in actual life. These, then, as we said at the beginning, are the three differences which distinguish artistic imitation- the medium, the objects, and the manner. So that from one point of view, Sophocles is an imitator of the same kind as Homer- for both imitate higher types of character; from another point of view, of the same kind as Aristophanes- for both imitate persons acting and doing. Hence, some say, the name of ‘drama’ is given to such poems, as representing action. For the same reason the Dorians claim the invention both of Tragedy and Comedy. 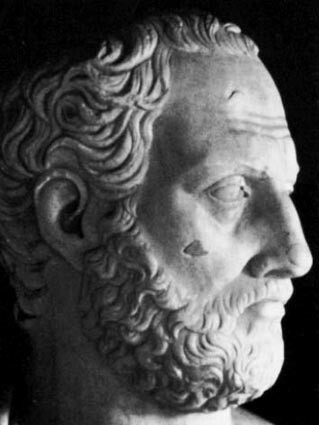 The claim to Comedy is put forward by the Megarians- not only by those of Greece proper, who allege that it originated under their democracy, but also by the Megarians of Sicily, for the poet Epicharmus, who is much earlier than Chionides and Magnes, belonged to that country. Tragedy too is claimed by certain Dorians of the Peloponnese. In each case they appeal to the evidence of language. The outlying villages, they say, are by them called komai, by the Athenians demoi: and they assume that comedians were so named not from komazein, ‘to revel,’ but because they wandered from village to village (kata komas), being excluded contemptuously from the city. They add also that the Dorian word for ‘doing’ is dran, and the Athenian, prattein.